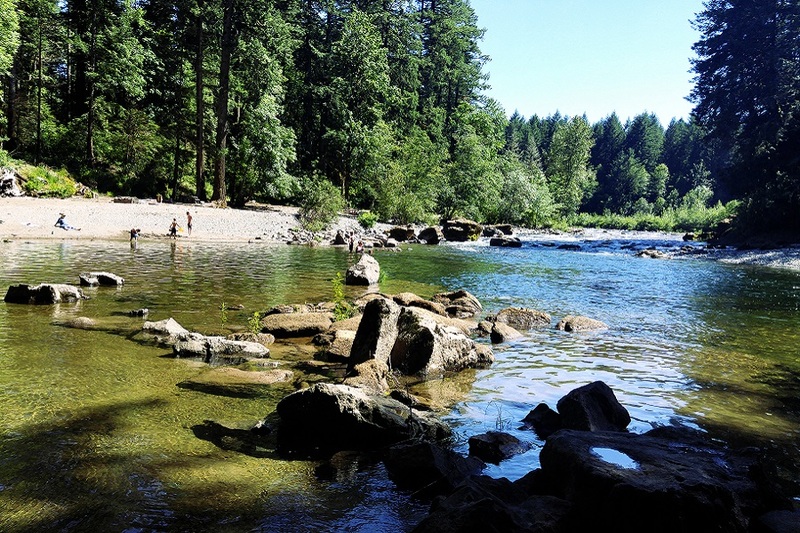 For all the nature lovers, the beautiful Little North Fork of the Santiam River with emerald crystal-clear waters is a top destination on hot summer days. 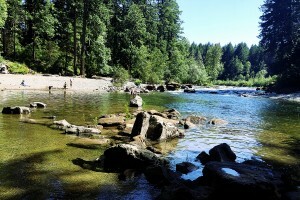 North Fork Park is the first park land purchased by Marion County. 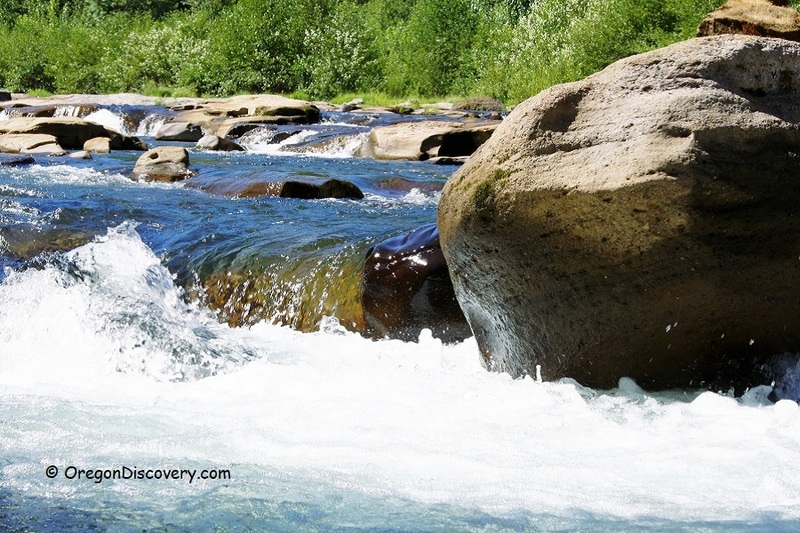 About 11.98 acres of the park is located along the bank of the Little North Fork of the Santiam River that drains the western side of the Cascade Range. The large swimming hole with a broad sandy and pebble beach, wide rock ledges, picnic sites, the comfortable water temperature in the summer, and a short distance from Salem make this destination very popular and sometimes crowded, especially on summer weekends. Nice rapid streams which feed the swimming hole can be used for a fun sliding and a rock jumping is available as well. North Fork County Park has picnic tables, hiking trails, and a restroom. 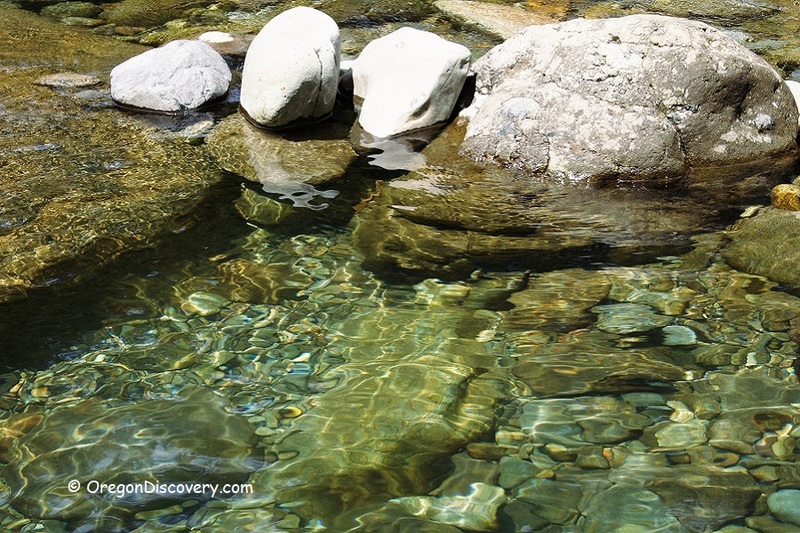 Fishing for rainbow and cutthroat trout is available (catch and release). 75 miles northeast of Eugene. Turn left onto North Fork Road, and continue for about 2.1 miles to the destination on the right. I know the North Fork was closed last year. Is it open this year?